If you posses sports passion then the management of Duplays Sports Dubai are the ones who can surely understand your admiration. They are known for providing the best sports activities in the city. 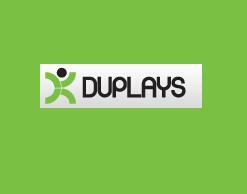 2007 was the year when Duplays Sports Dubai began their marvelous program of endowing sports facilities. In next to no time they succeeded in getting several memberships and extended the sports activities as well. Classes, tournaments and various exciting events related to sports are organized which has made this company quite popular. Apart from league matches, motorsport event is also organized at Duplays Sports Dubai. Beginners and intermediate golf coaching classes are also held. The thrilling and exciting league matches ultimately bring action to the grounds of Duplays Sports Dubai. Separate running events for men and women are organized by the management. All leagues are held in the evening time. Jumeirah Lakes Towers Metro Station 1 is 750 meters away from Duplays Sports Dubai’s Head Quarter, and by walk it will hardly take 10 minutes to cover the required distance. 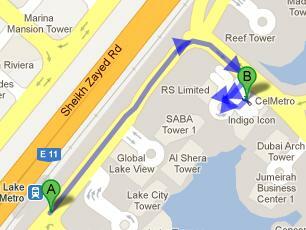 The route that makes a stop at Jumeirah Lakes Towers Metro Station 1 is MRed from Jebel Ali Metro Station 1. From the metro, head in the northeast direction and then take the first exit from the roundabout. Take a right turn and then three lefts. After covering 22 meters you will reach at the head quarters. The details related to the route can be viewed this Link.